This soccer World Cup was perhaps the most memorable world cup in the history of this great tournament. 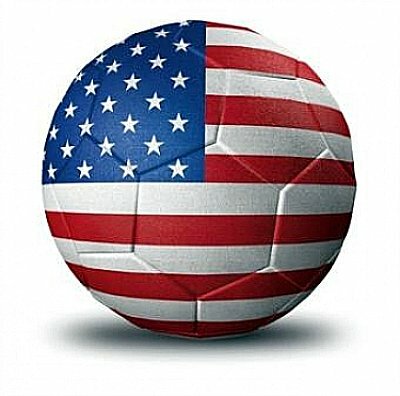 United States was the host of 1994 Fifa World Cup which came as a surprise to many people as soccer/football was not popular at all in this country at the time. The reason for the 1994 Football World Cup to be held in America was because of no professional league in America at the time, and so Americans promised FIFA that if the 1994 World Cup was held in United States, it would publicize the sport and than America would start a professional league after this tournament. This is where MLS comes from by the way :). As America was the only continent in the world where soccer/football was close to nonexistent, FIFA decided that this was a great opportunity to introduce this sport to all American people. The expectations were exceeded as this tournament would have record attendance of 3,587,538 and a lot of drama as well as great football/soccer played. Plenty of goals were scored during the 1994 Fifa World Cup, 141 goals in total as well as highly entertaining football/soccer played. The biggest upset of the tournament came when Bulgaria beat Germany en route to the semi finals considering the fact that Bulgaria did not win any of their previous 16 matches in this competition. Argentina was left without their star player Diego Armando Maradona after he tested positive for drugs and eventually would follow Maradona out as they were beaten by Romania 3:2 in the round of 16. Tragedy struck Colombia defender Andres Escobar who was murdered upon returning home for scoring an own goal against USA and condemning Colombia to an early exit during the round stages. Record number of 147 Countries entered this 1994 Soccer World Cup qualifier with some of the expected European contenders not making it from the qualifiers. Denmark, England and France were eliminated by Bulgaria's last second goal in their last qualifying match. Cameroon hero Roger Mills that came out of retirement and took African Lions to the quarter finals with his goals in the previous world cup would also make his mark at this years tournament as he set the record for being the oldest player to score a goal during this great event. He was 42 years, 1 month and 8 days old. Nigeria had almost upset the Italian side during the round of 16 where 90 seconds before the end of the game Roberto Baggio came to the rescue of Italy by scoring a crucial goal to send the game into extra time. There he found the back of the net yet again to help Italy go through to the quarter finals. The divine ponytail Roberto Baggio was in the form of his life, perhaps one of the best players in Italian side as well as the 1994 Football World Cup. Baggio helped Italy reach the finals with his decisive goal against Spain in the quarter final and than two goals against Bulgaria during the semi final. Final match was a classic between Italy and Brazil who both won the World Cup title on 3 different occasions and were considered the best footballing/soccer nations in the world. Even tho this match had no goals scored and ended in a 0:0 tie after extra time, forcing this to be the very first goalless final that had penalties decide the winner for the first time in the history of world cup. Italian "Divine Ponytail" Roberto Baggio was the one that led Italy to the final with his superb skills and goals, however he would also be the one to disappoint the whole nation by kicking the final penalty high above the goal and into the stands, Brazil was the World Cup 1994 champion again, after 24 years. The real Ronaldo was on the Brazilian bench, being only 17 and having teammates Romario and Bebeto playing in top form, Ronaldo would not get the chance to shine in this world cup. Cameroon, Morocco, Nigeria, Korea Republic, Saudi Arabia, Belgium, Bulgaria, Germany, Greece, Italy, Netherlands, Norway, Republic of Ireland, Romania, Russia, Spain, Sweden, Switzerland, Mexico, USA, Argentina, Bolivia, Brazil and Colombia.